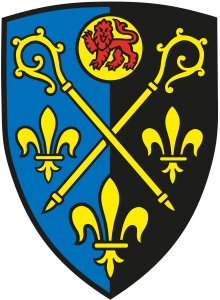 Born: c 229AD in Cardiola, the Latin name for Cardiff, the son of local Welsh nobility. Sent to Rome to accompany the tax due from his province. Converted to Christianity by Pope Stephen 1, ordained priest and Bishop by Pope Stephen and sent to be the first Bishop of Rouen. Died 314AD and buried in St Gervais Church, Rouen.